Technical Applications & Consulting , LLC (TAC) was established in 2011 as a Service Disabled Veteran Owned Small Business (SDVOSB) in Kansas. Our company consists of military veterans and industry professionals who's expertise and skills are unparalleled in this business. Our team is the core of our business and our key to success. TAC's specialties lie in airborne geospatial collection, geospatial processing and analysis, special mission aviation, research, engineering & development, and field operations. 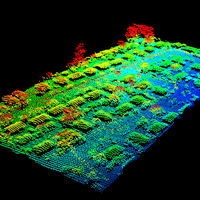 Through many years of hands on, real world experience we have the ability to apply our expertise in aerial data acquisition to not only the defense sector but the commercial and private sectors as well. TAC is uniquely qualified to provide a wide range of solutions and services for your various geospatial needs.